Build full beautiful brows with the ultra-thin Micro Brow Pencil. So precise it coats even the finest hairs with color for a natural-looking finish. Precise to coat the finest of hair. Helps achieve full looking brows. Additional Information : NYX Professional Makeup offers wide range of professional makeup & beauty products in modern, new-age packaging and include a variety of highly pigmented lipsticks and glosses, eye-catching eyeshadows, eye and lip liners, base foundations, concealers, end number of palettes, brushes and much more to choose from. Explore the entire range of Eye Brow Enhancers available on Nykaa. 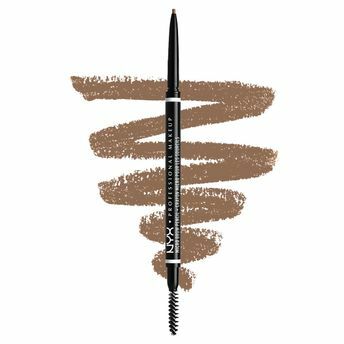 Shop more NYX Professional Makeup products here.You can browse through the complete world of NYX Professional Makeup Eye Brow Enhancers .Alternatively, you can also find many more products from the NYX Professional Makeup Micro Brow Pencil range.